for employees of state sector and semi-government institutions, according to a UDA official. UDA’s Urban Regeneration Project head E.A.C. Priyashantha told the Sunday Times that two state lands, one in Madampitiya, Mattakkuliya and the other in Borella close to the P.Saravanamuttu Stadium (Oval grounds) have been allocated for the project, estimated to cost Rs. 11,000 million. He said, the 17-storey complex in Mattakkuliya would have 1004 two-bedroomed apartments. The apartments would cost Rs 7.2 million each and would require a down payment of 25 per cent while the rest could be paid within 15 to 20 years. The 20 storey complex in Borella would consist of 600 three-bedroomed apartments. Each would cost Rs. 8.5 million each. 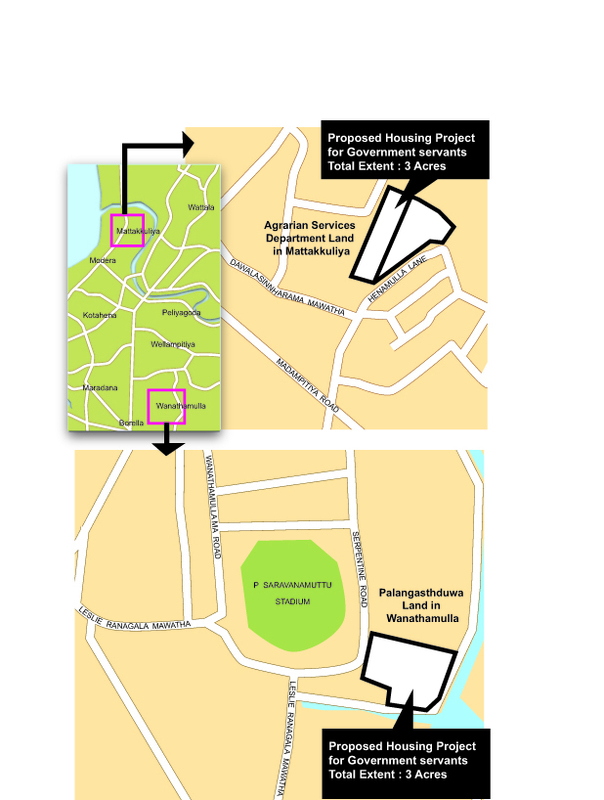 He said employees would be required to have a minimum service period of 15 years to apply for the apartments in Mattakkuliya while a minimum 10-year service period would be required to apply for the Borella scheme. Mr. Priyashantha said preliminary work had already begun and once completed these apartment complexes would have a super market, play ground, library and other recreation facilities.